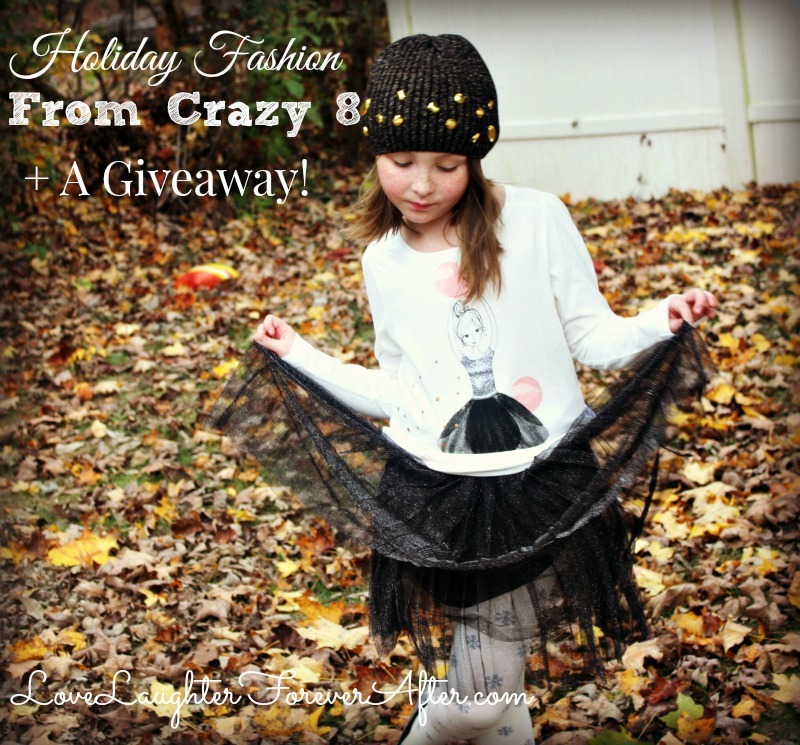 Holiday Fashion From Crazy 8 + A Giveaway! The holidays are upon us! It’s the most wonderful time of the year! It’s time for cheer, family, fun, and cute clothes. y daughter has always been a little fashionista, and insists on picking out her own outfits. (Thank goodness she can match most days, ha!) so when we were given the chance to work with Crazy 8 to let you guys know about all the holiday fashions offered, we were thrilled! Did you know that Crazy 8 is a gr8 place to find holiday gifts that kids love—from stocking stuffers to gifts under $25? It’s true! 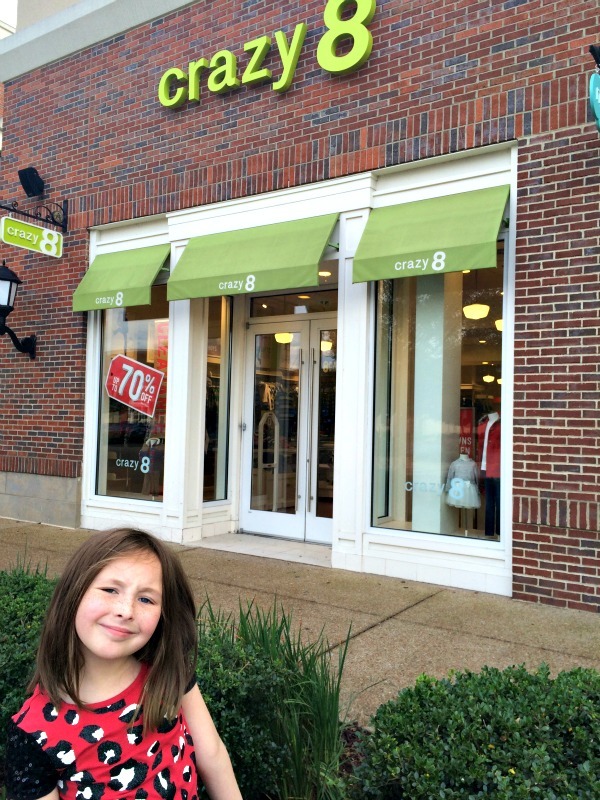 We were so excited to head to our local Crazy 8 store and check out all the new choices for the holidays! My daughter has a Christmas concert coming up at school and she just had to find the perfect outfit. Lucky for us, Crazy 8 has so many different options for everyone, and the prices are awesome. Great quality clothes at affordable prices, what’s not to love? Are you ready for a Crazy Gr8 giveaway from Crazy 8!? One lucky reader is going to win a $50 Crazy 8 Gift Card to help with your holiday shopping this year! Enter using the form below and good luck! Why do we not have this store around here. It looks so cool. OMG, she is so cute, and so is her outfit! 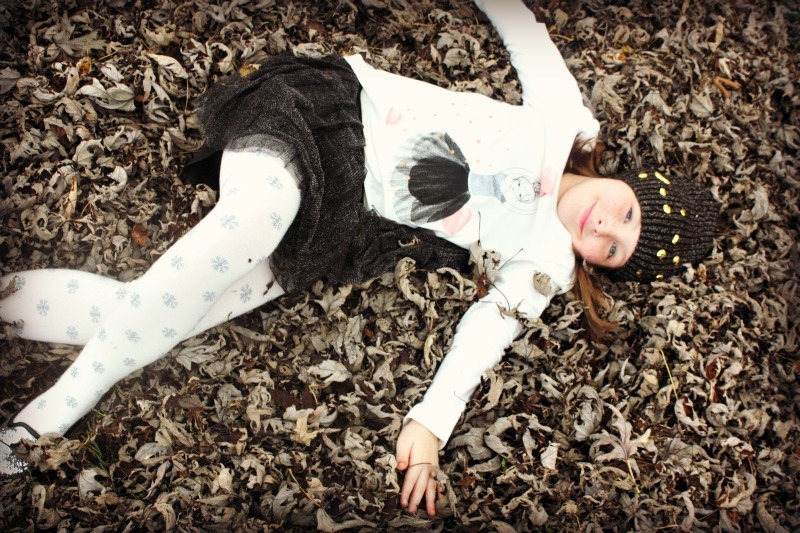 She’s the most adorable little model ever. I love it! I don’t think I have ever shopped at Crazy 8! It’s gift giving time so it’s the perfect time to check it out! your daughter is such a cutie. My girl loves clothes for Christmas. She’d love this! That is a great giveaway. I love the cute clothes at Crazy 8 and the prices can’t be beat! I used to have a Crazy 8 store right near the house, but with the move, I haven’t located our nearest location. With such cute clothes (and the great prices) I need to stop in for my growing kids. I’m loving the new holiday outfit. The hat was definitely a great choice! This would be a good place to shop for gifts for my nieces. I would love to win the 8 crazy gift giveaway! I love all your pictures of your daughter she looks adorable by the way. Crazy 8 has so many nice items. There’s not one near me, but I’ll watch for them when I go traveling. This is fantastic! 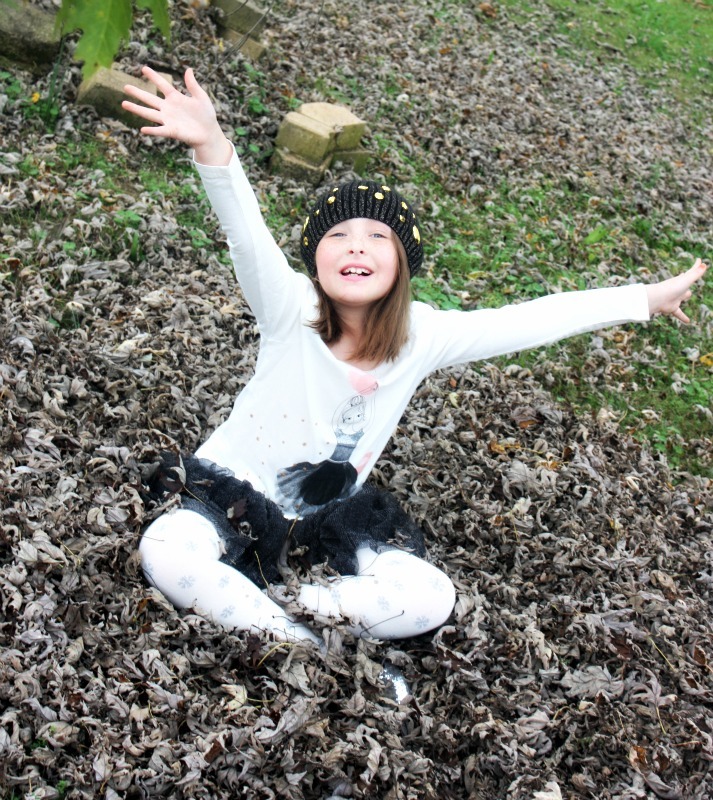 I love entering giveaways, but my trio are all too much of the type of kids who have to try on clothes – no regular sizes for them (just like me). Looks like this company has amazing fashions available though! My daughter would be so happy if all she had was new clothes. My boys don’t care but I did just buy them vests from Crazy 8 and my oldest loves it and hasn’t taken it off all day. Oh wow they have such nice clothes. My daughters would love to shop there for school clothes. Hm, who’s ready to shop now? ME! Good thing Christmas is around the corner. Adorable!!! I don’t have kids, but my nieces sure love getting clothes for Christmas! Jeni Hawkins recently posted..Looking Back….Everything We Posted Today! PS4 Star Wars Deal, Women’s Clothing + more! I don’t think we have a local Crazy 8 store. But I have checked out their clothes online and I really like them. This is the first time I’ve heard of this store. I like the outfit, especially the tutu. Love the clothes from Crazy 8! I often shop at Crazy 8 for my boys. They aren’t really excited by getting clothes as gifts but we do get them around the holidays. I love Crazy 8 the variety in their boys section is impressive. I have purchased from Crazy 8 and will continue to do so. Thanks for sharing! yes! My daughter loves getting new clothes! My daughter would have loved this when she was younger. I love the tulle skirt! I love Crazy 8’s clothing. My son does not mind. Yes, my daughter loves fashion and receiving clothing as presents. And I love shopping for her clothes! 1 likes them, the other could care less ha but he is a 4 year old boy.